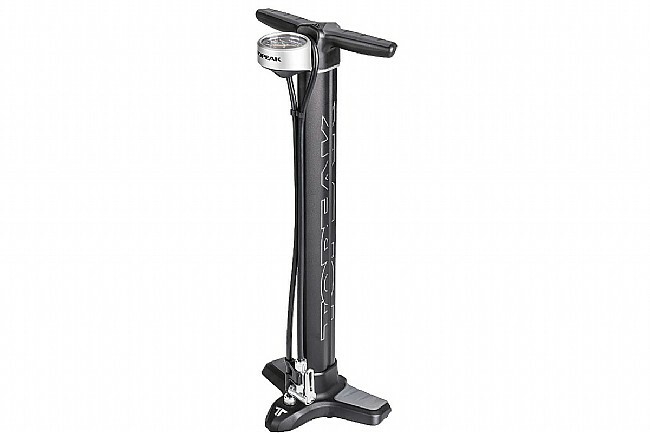 With Topeak's Joe Blow Twin Turbo, cut your pumping time and effort in half. 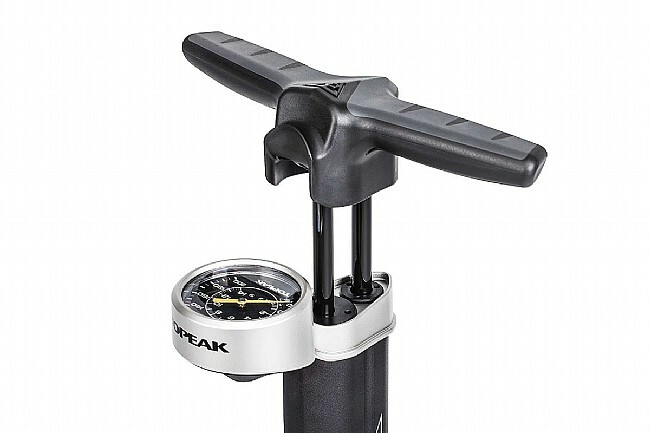 Representing their 25 years of experience, Topeak's engineers outdid themselves with this ingenious pump. Utilizing TwinTurbo technology, this pump uses two barrels to continuously be moving air between its barrels. Pulling up on the handle brings a large volume of air from the larger barrel to the smaller barrel, while pushing the handle compresses the air in the small barrel and inflates your tube. 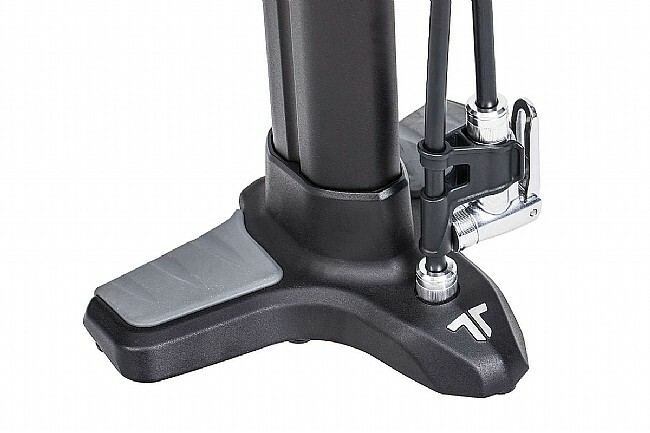 With Topeak's SmartHead DX1 full-metal pump head, the Joe Blow Twin Turbo will easily attach to your tubes, whether that's Presta or Schraeder.